Area of Research: The French Revolution, modern France, the 18th century and the birth of the “age of reason”-the concept of modernity and its critics, and crime and punishment in modern Europe. 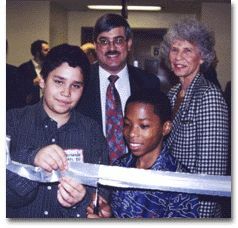 University Fellowship, University of Chicago (1987-88). Formerly Assistant Professor, History Department, Loyola University of Chicago. (1995-1997), and Instructor, History Department, University of California at Berkeley. (1993, 1994). As someone who studies the French Revolution, I’ve often found myself wondering what I might have done if fate had put me on this planet two centuries earlier and in the general vicinity of Paris. I don’t think I would have been one of the more extreme revolutionaries who were constantly demanding blood and heads. No, I think someone a bit more genteel would have been my style- someone like Camille Desmoulins, who could harangue the masses as well as anyone, but who still received plenty of dinner invitations. The truth is, though, that I got a pretty good inkling what kind of revolutionary I might have made about fifteen years ago. And I’m not sure Desmoulins would have been proud of me. The year was 1991, and my soon-to-be-wife and I were on a pre-honeymoon trip to Russia. She happens to be a Russian historian, and I had spent a semester in Leningrad (now, as I result of the mini-revolution in which I was about to play a glorious role, St. Petersburg). So, Russia was a place we both had ties to, and seemed a natural enough place to have a pre-honeymoon. We had taken an overnight train from Moscow to Leningrad, and arrived in the city, tired and a little dazed. Maybe that’s why neither of us noticed anything unusual as we made our way to the Astoria hotel. The Astoria, by the way, is a grand old hotel where Hitler, a little too optimistically, had planned to throw his victory party once he had conquered the city. My wife and I thought we’d use the excuse of a pre-honeymoon to weasel the extra cash out of our parents so that we could stay somewhere just a bit more swanky than our usual graduate-student lodgings. In retrospect, I should have known that something was up when I went down to the front desk to complain about our dismal room with a view of the air shaft. I was all ready to go into a song and dance about our pre-honeymoon and all that, but the clerk just gave me a dazed look and forked over the key to a nicer room with a view of the square. No discussion. No argument. Now that sort of thing never happened in the old Soviet Union. As soon as we’d deposited our luggage in the new, nicer room, I flipped on the TV. “Hey,” I said to my wife, “There’s something wrong with the TV. Swan Lake is on every channel.” She tried the remote, and sure enough, no matter what channel we tried, it was Swan Lake. We tried the radio: Triumphal, patriotic music was on every station. It was then that we noticed that people had begun to mass on the square below our hotel room (a square that just happened to house the offices of the city government). Suddenly, a voice came on the radio. My Russian wasn’t good enough to grasp every word, but the gist of it was: “Citizens, all is secure. Everything is under control. Have faith in the government which will restore order and security.” We looked at each other. Something was up. We flung open the windows and began reading the hastily-written signs that people were carrying: “No to totalitarianism,” “Freedom & Democracy.” “We won’t go back!” And then, as if on cue, a man on a white horse rode into the square waving an enormous tricolor flag – now, the flag of the Russian Federation, but then a strange anachronism. I had never seen it before, and with my expert knowledge of flags and history, I immediately informed my wife that the Dutch had invaded the Soviet Union. I think she just hushed me, not bothering to explain that the pre-Revolutionary Russian flag had been designed by Peter the Great on the model of the Dutch flag, but with the colors in a slightly different order. I’ll make a long, story short: Within minutes we were out in the square, and were told by gathering protesters that Gorbachev had been kidnapped by hard-liners who were attempting to restore the old order and end his experiment with glasnost. “We will not go back,” a young man explained to us. “We will fight. We will revolt.” He had said the magic word. The wheels in my brain started turning. “It’s a revolution!” I screamed to my wife. And then I added “Follow me!” She had no intention of following me, of course, because there we were on the main square of Leningrad at the very center of political activity, and there was nowhere I could possibly go where she might want to follow. I looked around the square trying to figure out how I might effectively harangue the masses (this was going to be difficult, as I had a bad habit of confusing the Russian words for “freedom” and “Saturday.” But I thought I could pull it off). It was then that I noticed that a portion of the crowd was busy constructing barricades. They had overturned cars and buses, and were busy planning to protect the square from army troops that were rumored to be on their way. This really was my chance! It was July 1789 all over again: Army troops on the outskirts, ready to invade the city. A populace desperate for freedom from tyranny, massed on the public square just waiting for a leader to show them the way. This was my cue. I just needed to find a high spot and start talking. I gathered my thoughts: No to authority! Yes to Saturday! etc. etc. My wife was making her way to the barricades, talking to people, reveling in the moment. And I, I…. I had begun to wonder: If the troops came in, then all the stores would probably close. And I was almost out of saline solution for my contact lenses. Now, you might think this is a trivial detail, but I had forgotten to bring a pair of glasses. And I’m fairly near-sighted. So really, it was pretty important. Okay, maybe not of urgent, revolutionary importance, but not exactly irrelevant. So, that is the background of how it came to pass that I found myself shouting up to my wife, as she clambered on top of the barricades in the middle of a revolution, “Wait, I need to go find saline solution before the stores close.” Her look of complete, withering disdain brought home to me the fact that I was probably not destined to be a latter-day Camille Desmoulins. (She married me anyway, and we now have four kids, so I’m guessing the disdain wasn’t as complete and withering at it seemed on that August day). I did learn a few things that day. I learned that when you’re in an enormous crowd being harangued by speakers (speakers who apparently do not wear contacts, and so have the luxury of being able to drone on and on without a care in the world), that you can’t actually hear anything. All those people seemingly cheering and shouting in approval? It’s just a lot of people asking simultaneously “What did they say?” And I learned that, for the most part, in the middle of a revolution, you don’t really have any clue what’s going on. We managed to find someone with a satellite connection, and marveled at CNN’s ability, thousands of miles away in Atlanta, to give seeming coherence to the chaos and confusion that surrounded us. The truth is that if nobody really knows what’s going on, you can spin events as you like, and no one can actually contradict you. And, sad to say, I guess I learned that I’m probably a better student of revolutions than a maker of them. I do console myself, though, with the thought that it didn’t turn out to be a real revolution in the end. I think the Russians now commemorate the events of August 21 as “flag day.” But who’s to say that if I’d had plenty of saline solution on hand or had remembered to pack my glasses in the first place, that I wouldn’t have found my audience. If things had played themselves out just a little differently, Russia today might be the only place in the world with a week full of Saturdays. 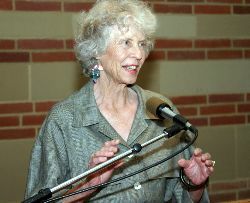 Joyce Oldham Appleby is professor emerita from UCLA and retired in 2001 after teaching there 21 years. She is one of the United States’ foremost historians of the early republic. Appleby is at the pinnacle of her profession through her powerful engagement with important ideas and controversial issues. 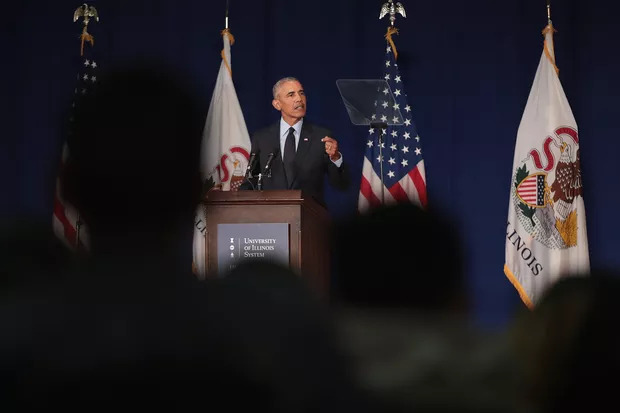 Throughout her 40-year career, her scholarship has examined the formation of an ‘American’ political ideology, with particular focus on the connections between the history of ideas and the history of economic institutions, policies and practices. Her books include “Capitalism and a New Social Order: The Republican Vision of the 1790s,” “Inheriting the Revolution: The First Generation of Americans,” “Liberalism and Republicanism in the Historical Imagination,” “Economic Thought and Ideology in Seventeenth-Century England” and a recently published presidential biography of Thomas Jefferson. 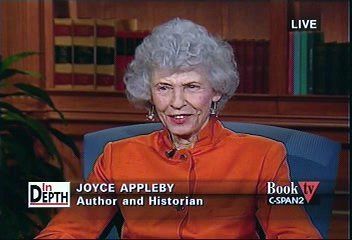 Appleby is past president of the American Historical Association, the Organization of American Historians and the Society for the History of the Early Republic. Since we toss around complex with the same abandon as nuanced, I’ll define how I think of complexity in history. Complexity in human affairs arises from the fact that human beings are never single-minded in their efforts and decisions, and events never slide along a predictable cause and effect continuum. Getting across this point has always been more important to me than raising consciousness about past injustices or rallying students to the heroism of dissenters and reformers. For this reason, I may have been perceived as conservative, even though in my extraprofessional, political life I have always been a left-leaning liberal with libertarian undertows. History offers students an opportunity to think and discuss sophisticated topics. For this words are needed, so I felt keenly the importance of habituating them to a larger vocabulary – one big enough to get at those nuances, complexities, and subtleties. I was astonished when I came to UCLA in my 15th year of teaching to run into a program in which the counseling staff monitored lectures in introductory classes with the idea of locating words that students could not be expected to know. This nefarious [in my view] enterprise ended with the production of a list of words that the monitors had found UCLA lecturers using which were deemed beyond the ken of the students. All that I cam remember from that list is the word, sovereignty. This is the dumbing down approach to education which still enchants some educators. I believe in the intelligencing up of students. From my point of view one of the greatest legacies of a college education is an expanded vocabulary. This may seem “small potatoes” to educational reformers, but not to me. One can not think of subtlety or complexity without the words to express their defining qualities. All of this is by way of introducing one of the most satisfying moments in my teaching career. It happened at San Diego State University in a lower division class with students more interested in getting a requirement out of the way than learning American History, much less participating in my “intelligencing up” project. The class size was limited to 40 because the department had committed itself to class discussions of the assigned primary texts that venerable collection, The People Shall Judge. The students sometimes let me know that my vocabulary was not theirs, but I insisted that it was the vocabulary of educated discourse. And during the semester, I noticed that some began to integrate new words when they spoke. During the final, one of the members of the class, a young man somewhat ragged around the edges, came up to me and softly asked how to spell, benign. I’ve remembered this moment all these years because it captured how studying a subject plunges one into a conceptual universe which soon becomes one’s own. In this new universe he had discovered a word that he wanted to use in his exam answer. He knew the meaning; he just lacked the spelling, because he had only heard it. He had to get the spelling because he couldn’t express his thought without it. There in a nutshell was evidence of learning. I’ve always wondered if he continued using benign. “There is a pervasive notion abroad in the land that somehow the past lingers on to force the hand of those who reconstruct it. Yet we know that the past as a series of events is utterly gone; only its consequences have infiltrated the present. Some remnants remain like litter from a picnic, but these material leftovers never speak for themselves. In fact they are inert traces until someone asks a question that turns them into evidence. We need to converse about the vital connection of curiosity and inquiry in scholarship, because one effect of the attacks on western knowledge has been to popularize a skepticism detached from its critical roots. Ours is a knowledge dependent society, yet people are quick to believe that knowledge changes in arbitrary ways, even that cabals of like-minded academics exist to poison the well of truth. We live in an age without consensus where paradoxically men and women all over the world are gravitating to the same opinions. History can minister to both perplexities, not only by preserving the endangered diversity of the human experience, but also by nurturing an understanding of how learned opinions are formed. Whether we meet our audience gathered in the classroom, at museum exhibits, reading our books, or in public forums, we need to offer an alternative to cynicism by making accessible how we reconstruct the past. And since our work is similar to the construction of all knowledge, learning how historical truths are put forward and tested possesses a protean utility?.History is powerful because we live with its residues, its remnants, its remainders and reminders. Moreover, by studying societies unlike our own, we counteract the chronocentrism that blinkers contemporary vision. That’s why we cannot abandon intellectual rigor or devalue accuracy. History has an irreducible positivistic element, for its subject is real, even if that reality is evanescent and dependent upon texts. Historical writing creates objects for our thoughts, making audible what had become inaudible, extracting latent information from the objects that men and women have constructed. This materiality of historical evidence does restrain us. Imagine a willful forgetting of the Holocaust had the Nazis won World War Two. Eventually someone would have picked up the trail of clues or stumbled over the contradictions in the documents created by the victors. Texts would then replace texts, but the impetus for the change would have come from the past itself just as scholars reconstructing the succession of post-Columbian demographic disasters had lots of evidence to go on, once their curiosity turned in that direction. The concreteness of history is what gives it the power to compel attention, to stretch imaginations, and to change minds?A hundred and fifty years ago, historians exalted the nation’s commercial values as proof of democratic vigor; since the Progressives they have focused more upon those groups that failed to benefit from a profit-driven economy. Perhaps now, as the twentieth century closes, we may be ready to explore the social complexity of our entrepreneurial system while shedding the celebratory and compensatory burdens of our predecessors.The power of history is liberating. The last four decades have demonstrated it, if proof be needed. First social historians located and analyzed group experiences which had been ignored by earlier historians. Then investigations of ideologies and paradigms, followed by postmodernist critiques and cultural studies, plumbed the depths of society’s shaping hand in organizing human consciousness through models, discourses and language’s insinuating codes. Today as teachers, exhibitors, preservers, and researchers of the past, we have been forced to think through the acts of appropriation and remembrance. We can no longer plead ignorance of their effects. We’re self-conscious about our voices, our genres, our assumptions. If we can live with this indeterminacy, pursue its implications, contend over meaning, give repeated witness to the magnificence of the human effort to understand, and share these acts with the public, we can be certain that history – the quintessential Western discourse – will have no end. — Joyce Appleby in “The Power of History,” January 9, 1998 Presidential Address, published in the American Historical Review , 103 (February, 1998) and reprinted in “A Restless Past,” Lanham, Maryland, 2005, pp.. 145-48. “I was very interested in what… Who constructed this revolutionary heritage, because we think of ourselves very much as a nation that starts with a revolution, and I’m a historian of the revolution and the Constitution, and I was curious as to how it was interpreted by those people who had no contact with the colonial era, who had never been subjects of the king, who had none of the sensibilities and mores that their parents had…. There are two levels: One, because it created the… a sense that they had to do something with their lives and with the society, that was almost as if it were a gift, but it was a gift with a lot of strings attached to it. 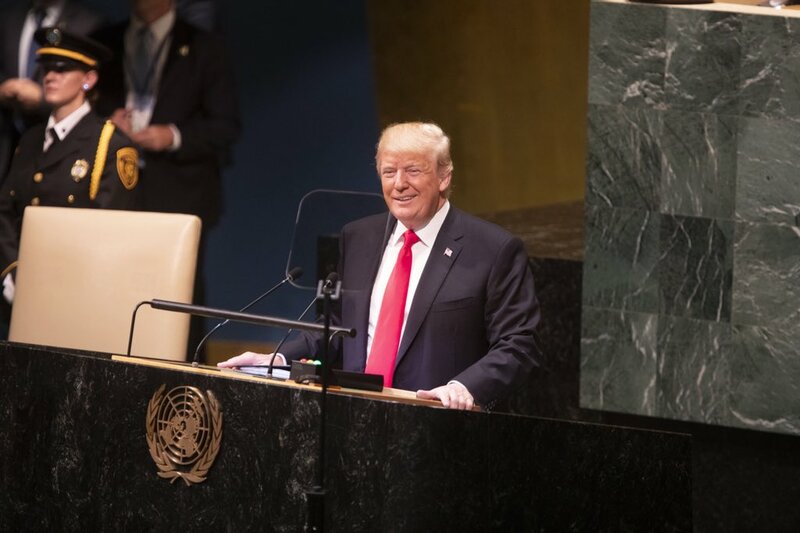 And then the other reason why it’s important is because there were other developments that had nothing to do with the United States, per se– economic developments, cultural developments– which played out very differently for an independent nation than they would have had the Americans still been under Great Britain…. “Is there a truth that historians can tell? Yes, in thunder, answer the authors of “Telling the Truth About History,” a confident, breezy account of the historical profession’s encounters with post-modernism and multiculturalism…. Those affirmations in this book flow from three distinguished scholars. Joyce Appleby of the University of California, Los Angeles, has worked primarily on 18th- and early 19th-century America; Lynn Hunt of the University of Pennsylvania is a specialist in modern French history, and Margaret Jacob of the New School for Social Research is a historian of science. The three speak in a single voice, in the “I work in the archives” tone of researchers unwilling to leave to theorists the task of explaining to the public the politics and cognitive mission of historians…. “Telling the Truth About History” is at once a vindication of historical knowledge against skeptical and relativist doubts and a popular history of the process by which these doubts came into being…. 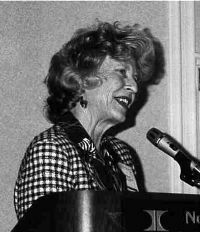 University of California, Los Angeles, professor of history, 1981–. Harmsworth Professor of American History, Oxford University, and fellow of Queen’s College, 1990-91. Economic Thought and Ideology in Seventeenth-Century England, (Princeton University Press, 1978). Capitalism and a New Social Order: The Republican Vision of the 1790s, (New York University Press, 1983). (With Joseph Cropsey and Forrest McDonald) Understanding the United States Constitution 1787-1987: Three Bicentennial Lectures, (Colorado College, 1988). Without Resolution: The Jeffersonian Tension in American Nationalism: An Inaugural Lecture Delivered before the University of Oxford on 25 April 1991, (Oxford University Press, 1991). Liberalism and Republicanism in the Historical Imagination, (Harvard University Press, 1992). (With Lynn Avery Hunt and Margaret C. Jacob) Telling the Truth about History, (Norton, 1994). (With Alan Brinkley and James M. McPherson) The American Journey, (Glencoe/MacGraw-Hill, 1998). Inheriting the Revolution: The First Generation of Americans, Belknap Press, 2000. Materialism and Morality in the American Past: Themes and Sources, 1600-1800, Addison-Wesley (Reading, MA), 1974. (With others) Knowledge and Postmodernism in Historical Perspective, (Routledge, 1996). Recollections of the Early Republic: Selected Autobiographies, (Northeastern University Press, 1997). (With Terence Ball) Thomas Jefferson, Thomas Jefferson, Political Writings, (Cambridge University Press, 1999). Contributor to numerous journals, including American Quarterly,Business History Review,Civil War History,Journal of American History, and Past and Present.William and Mary Quarterly, member of editorial board, 1980-83, chairperson, 1981-83. 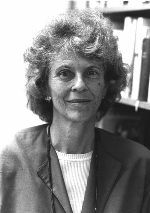 Member of editorial board of Intellectual History Group Newsletter, 1981–, Eighteenth-Century Studies, 1982–, Journal of the Early Republic, 1982–, American Historical Review, and Encyclopedia of American Political History. Appleby co-directs with James Banner, the “History News Service,” an informal association that distributes op-ed essays written by historians to over 300 newspapers weekly. She also writes op-eds and book reviews for the news media, including the “New York Times,” and has done commentary on the “Newshour with Jim Lehrer, anf recently appeared on C-Span2, Book TV “In Depth” show discussing her life, career, and writings.